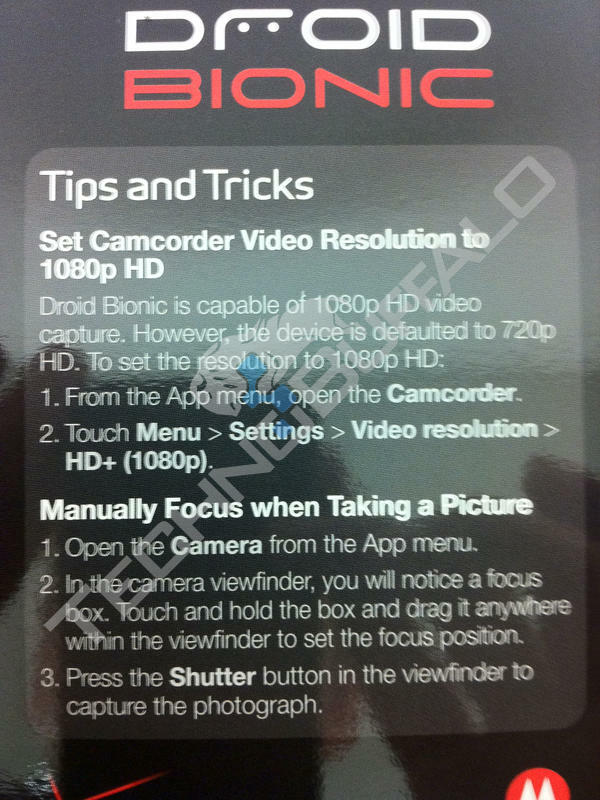 Thanks to an anonymous tipster we now know a little more about the upcoming Droid Bionic. 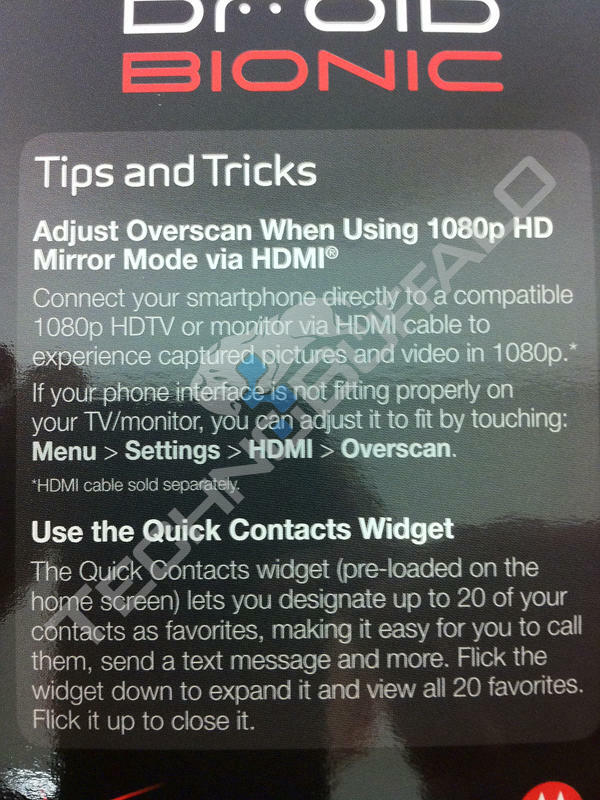 These images of the Tips and Tricks manual for the phone fell into our inbox late last night, and reveal a few details about what we can expect from the highly-anticipated LTE handset. 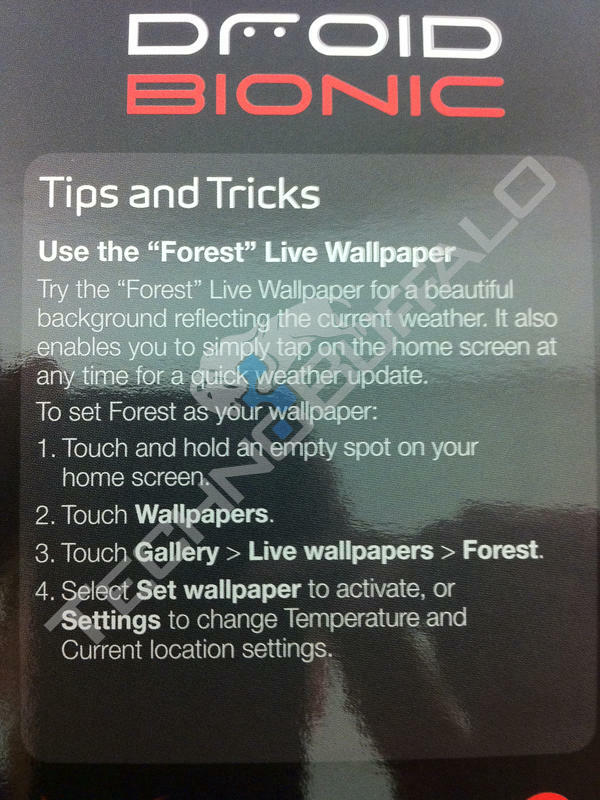 We’ve heard a few rumors that the Bionic would be getting a 4.5″ display. The key features page for the phone indicates; however, that we’ll only see a 4.3″ display on the phone just like the Droid Charge. 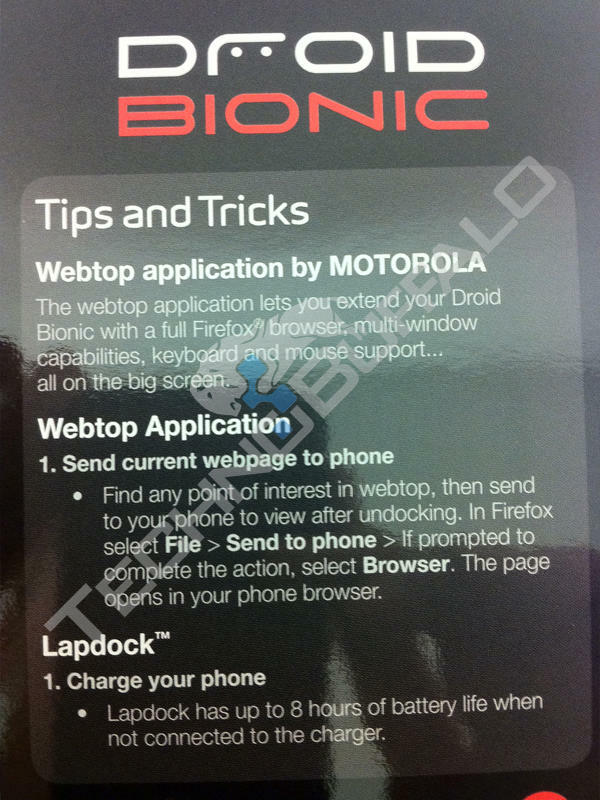 It looks like Motorola will be offering the same connectivity options for the Bionic that it did for the Atrix. The handset can be connected to an optional dock to be used like a laptop or desktop computer, and will sport full Firefox browsing with multi-window support. 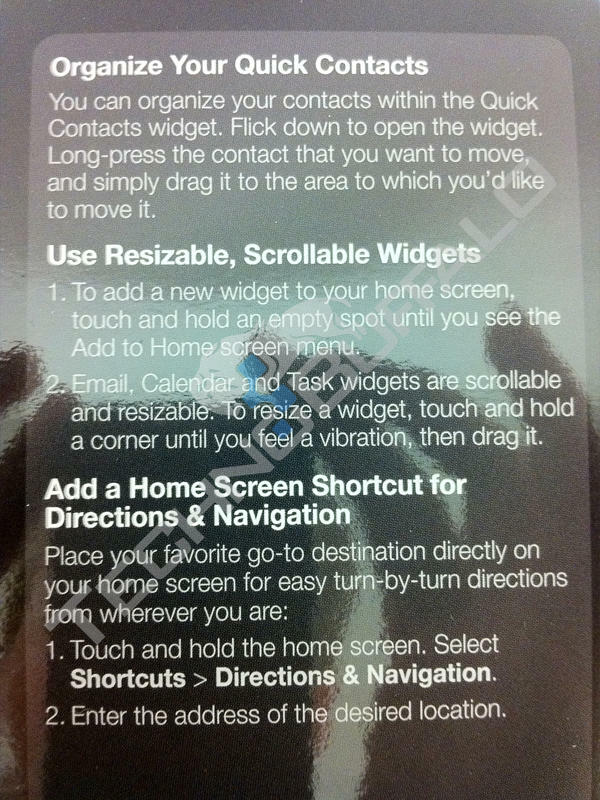 The phone will also have new widgets, and MotoPrint support for printing to Wifi-enabled printers. 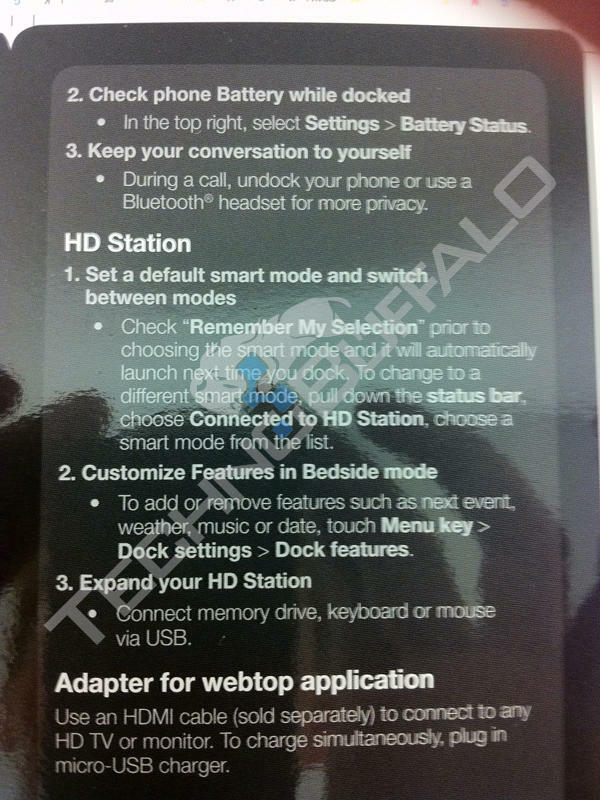 The Bionic will also have a “bedside mode” for being used as an alarm clock, and HDMI-out with mirror mode for viewing content on the big screen (with a dock option likely available for that functionality as well). Motorola will be offering Zumocast along with the phone which allows you to remotely access and stream files from your home computer to the handset. 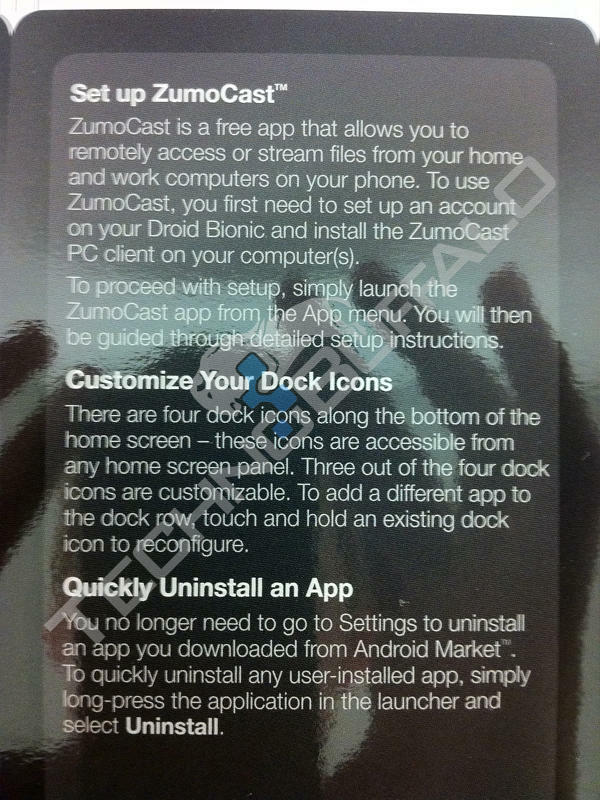 Zumocast is available on some other Motorola handsets, and can be used to stream both video and music, as well as view photos and other documents. 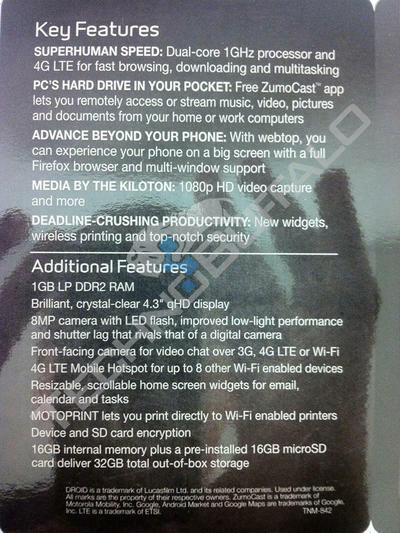 Camera The Bionic will have an 8-megapixel camera with LED flash and 1080p video recording capabilities, it will also have a forward-facing cam that can be used for video chatting over WiFi, 3G, and 4G networks. 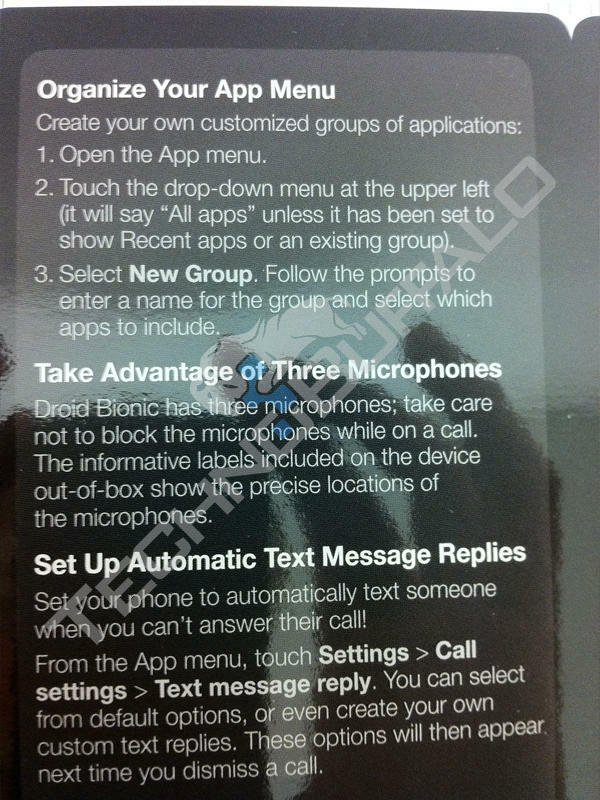 Three microphones The Bionic will have three microphones located in different locations on the device. Mobile hotspot The Bionic will be able to be used as a wireless hotspot for up to 8 devices. 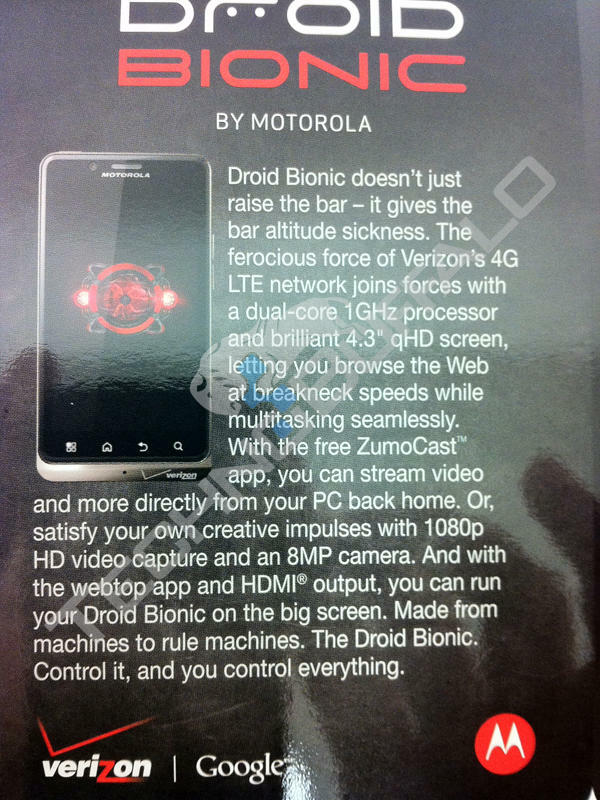 A previous Verizon leak has the Bionic hitting store shelves on September 8th. What do you think? Anyone planning on grabbing one of these next month?